Since word got out about its existence, General Conference administrators have been inundated with names of members that should be on the list. "We were shocked at how much data was already available on members that consistently neglect to bring their own dishes to potluck," said database analyst, Hugh Dunnit. "Many churches had been keeping their own lists for years so when they heard there was a master list they just emailed over their data." Dunnit said that the denomination is used to giving free passes to starving college students and visitors but there are thousands of others that simply are not doing their honest part. Freeloader members with no good excuse for their bad behavior will receive letters from the GC Church Discipline Department ordering them to start bringing dishes or accept a permanent post on the potluck pots and pans washing crew. Ha! Thanks. We decided it was time. Actually the better story headline should be “Adventist Church builds database on members who aren’t giving tithe and offerings” or tithe only. In my church ,we call them the “free loaders”. They will never bring any food for the pot luck. Most do not know how to cook or bake. A few brave the local supermarket and buy the stuff. At least it’s edible. Gimme some Little Debbies. Same goes for the non-tithers-they are still free loaders and rely on the church’s resources for everything. Ha Ha . We do know who the guilty ones are !!! STAY AWAY FROM THE PALM SPRINGS CA SDA CHURCH. EVIL! We have one lady who always brings a box of uncooked pasta as her contribution. I guess she figures we will just whip up a delightful dish while she enjoys the church service! At potluck she loads up a plate to take home to her husband who never attends. I commented one time that she should invite her husband to join us for potluck and she just smiled. 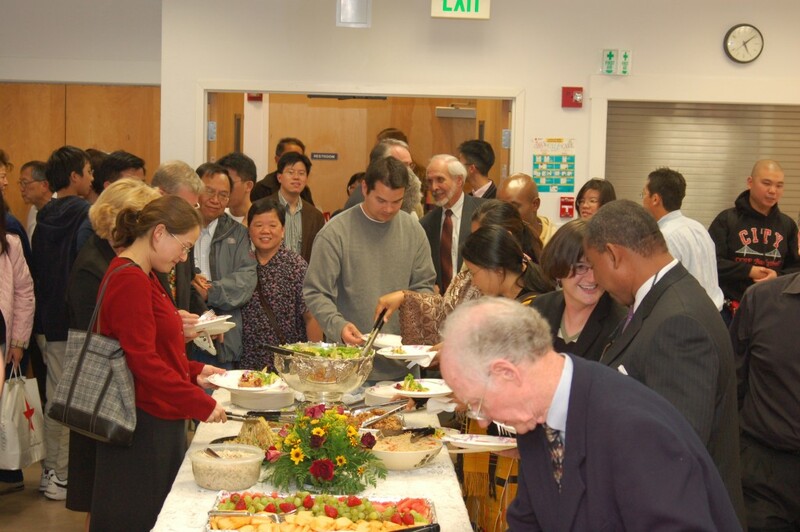 Even though this is a satire, I will not attend a church potluck anywhere. I have never understood the concept of potlucks after church and if I were to attend a potluck, I would do my best to bring something to the table and not be a freeloader. I never attend pot lucks! First it recommends a salad, savoury and sweet – well I may as well make that at home and have visitors home for lunch – it’s personal, and welcoming. I don’t get time for cooking – so why be a “free loader” if you can’t contribute? Plus a “doggy bag” should never be taken home – right?! Just tell me, is my name on the list?